When Carvalhal took charge of the Welsh outfit on December 28, no one expected much from a Swansea team which was consistently struggling near the foot of the table this season. For all the positive work that Paul Clement did in the past year or so in keeping the club in the Premier League, things didn’t work out during his second season and he left the Swans in a terrible position before the Christmas holidays with them rock-bottom of the Premier League table. 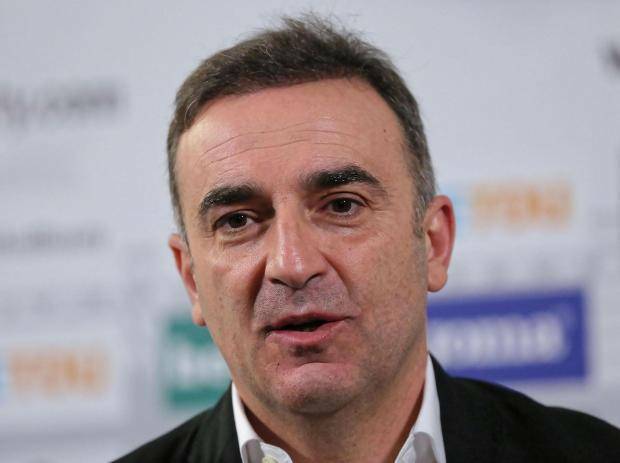 The decision to appoint Carvalhal took many by surprise, especially as he didn’t have the best season at Championship side Sheffield Wednesday, whom dismissed him on Christmas Eve – ironically after defeat to Middlesbrough – then managed by former Swansea City boss Garry Monk, whom was later sacked himself! Most pundits and football fans thought that a manager who had more experience in saving teams from the drop in the English top tier should have been appointed and not some Portuguese who liked to play football which was nice on the eye. Betting sites which specialize in live betting and often put odds on which manager will be the first to get the sack even put the Portuguese on top of the queue of managers to be sacked before the season ends even though he was just appointed as a manager of the Swans. However, Carlos Carvalhal has gone about his work quietly and the results thus far (P7 W3 D3 L1) and the way he has set up the team to play have been quite encouraging. His charismatic interviews have also endeared him to the Jack Army, with his formula one and fishing metaphors – not dissimilar to the legendary Eric Cantona – raising a chuckle whilst also making very pertinent points about the Swans current plight. Let’s see where he has had the biggest impact. Every managerial change usually brings about a certain boost of moral in the dressing room. It is a recipe of success which Roman Abramovich has employed in his 15 years at Chelsea and many teams are following this example. For the Swans however, managerial changes have caused more upheaval in the dressing room than they have boosted moral. This is because Carvalhal was the fifth manager to be signed on permanent basis by the Swans in the last couple of years. And being brutally honest, the appointments to date haven’t had the desired impact on a long term basis. The difference in Carvalhal’s case though, is the fact that he has proven himself to be quite the man manager and it seems like this approach has definitely worked if the Swans early performances under him are anything to go by. Carlos Carvalhal likes to play football in the proper way. He never goes route one and you will never see him instructing his players to pump balls in the box looking for the big man. He focuses on smart build-up play and on passing as a vehicle to move the ball to the final third. The Portuguese manager knows that he his Swansea squad is limited and he is trying to build a hard-working team that can play quality football rather than trying to build the team around the more creative – yet still underperforming – members of his squad such as Renato Sanches. This is all the more important, given the apparent lack of appetite for the club’s owners to invest money into the squad during the crucial January transfer window. This is of course the complete opposite to what a manager like Sam Allardyce or Tony Pulis would have done if they had taken over from Paul Clement, something which was heavily speculated before Carvalhal was appointed. Fortunately for the Swans, this approach seems to be working and results and performances since the appointment of Carvalhal have drastically improved. The final goal of surviving relegation still remains difficult to achieve, but at least there is some hope now.